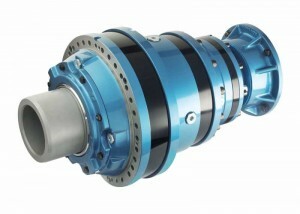 Brevini Power Transmission is displaying at the 2013 Subsea UK exhibition held in Aberdeen over the 6th and 7th February. The company can be found on stand A1 and will also host a range of hydraulic motors from sister company, Brevini Fluid Power. Brevini’s range of power transmission products includes planetary gear units, helical and bevel helical gear units, hydraulic lifting winches and special lifting winches. With many years of experience working within the marine and offshore industries, a large part of the Brevini product range has DNV type approval and can be certified as required by other approval bodies, such as Lloyds and ABS. Brevini has an extensive history of supplying reliable and innovative solutions for deck machinery, including winches, cranes, tensioners, carousels and drilling equipment, and its engineers will be available to discuss individual application requirements with stand visitors. Brevini Power Transmission also has vast experience of refurbishing and repairing all models and makes of gearboxes through its service and repair center. As a gearbox manufacturer it is able to draw on its many resources, from technical expertise to commercial purchasing power to ensure that it delivers a first class service at competitive rates. Technical Sales engineers will be available on the stand to discuss how the repair service may be able to increase the life of existing units, saving the expense and hassle of replacement. Also present on the stand will be Brevini Fluid Power, a sister company that supplies a wide range of axial piston and orbit motors. The partnership allows Brevini to form a hydraulic motor gearbox package that provides the reassurance of two well established brands working in perfect harmony. Brevini U.K. offices are located in Warrington and Scunthorpe, its facilities include two large manufacturing and warehousing areas with craneage up to 15 tonnes. Its dedicated staff of sales engineers benefit from many years of industry experience, which enables them to design bespoke power transmission solutions. It carries a large stock of standard parts within the U.K. and its service centre in Holland, which allows for short lead times for a large number of variants and sizes.